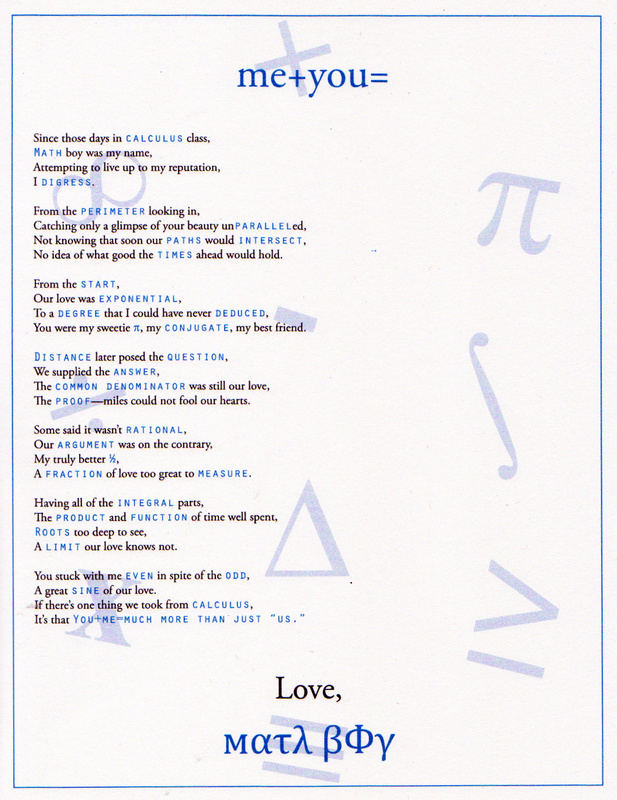 and I found the poem that Justin wrote for Allie and I just had to share them. 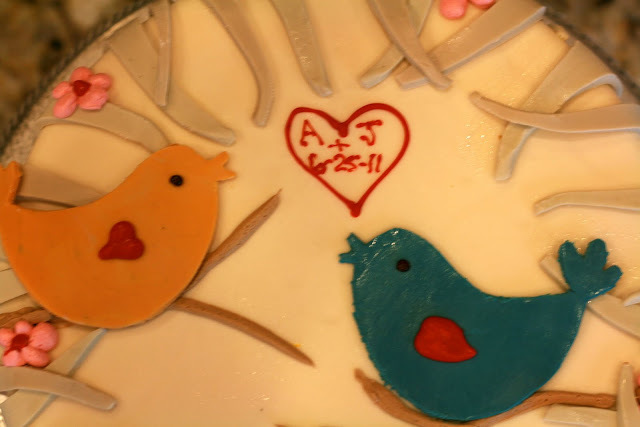 This is the top view of the cute cake. Isn't it adorable?! I love the cute birds! and "Walla!" 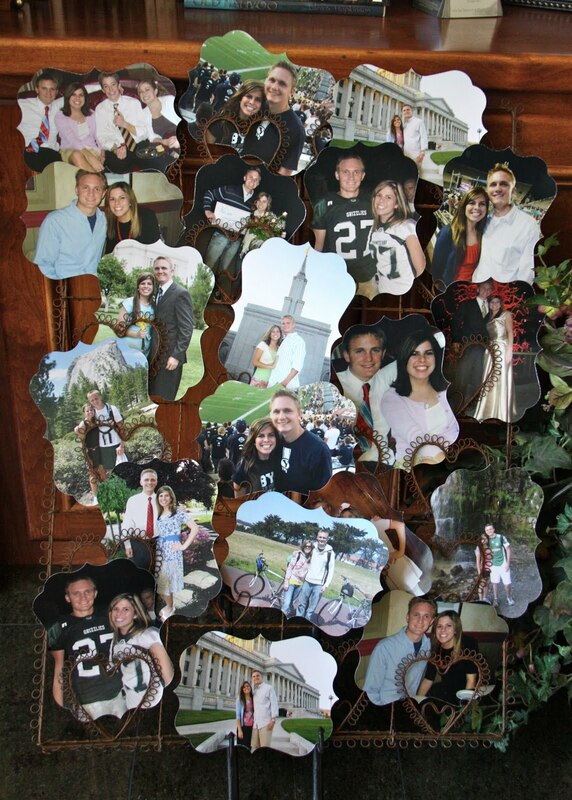 She created this beautiful bridal shower decoration! 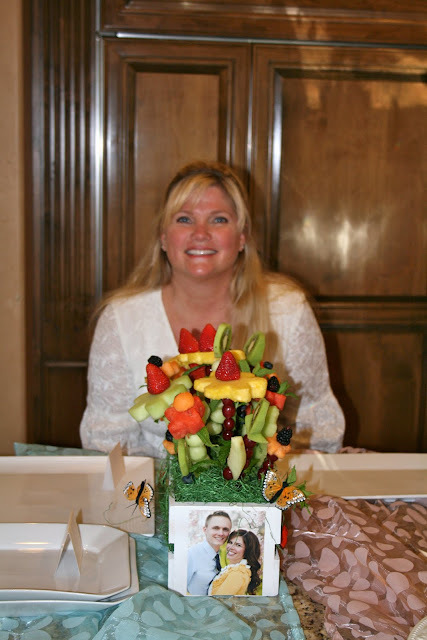 Here is Marci with her fabulous edible fruit arrangement! Gorgeous and yummy too! Aren't my friends simply amazing?! 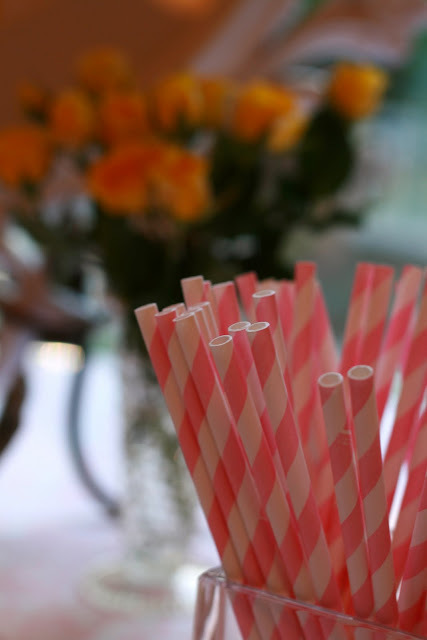 So many cute little details, such as these adorable pink and white striped straws. 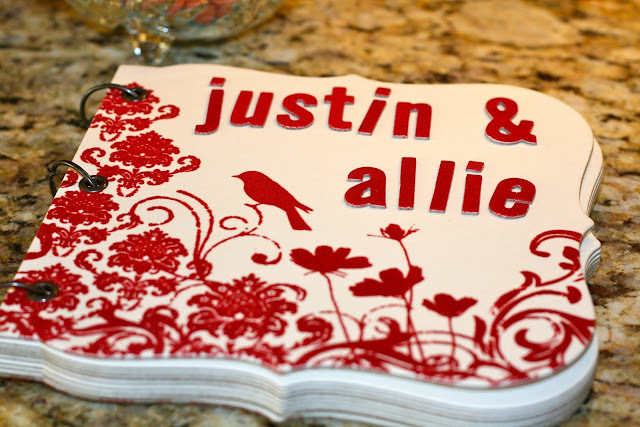 And take a look at this cute book that Karen made for Allie and Justin. So much love and attention to every little detail! 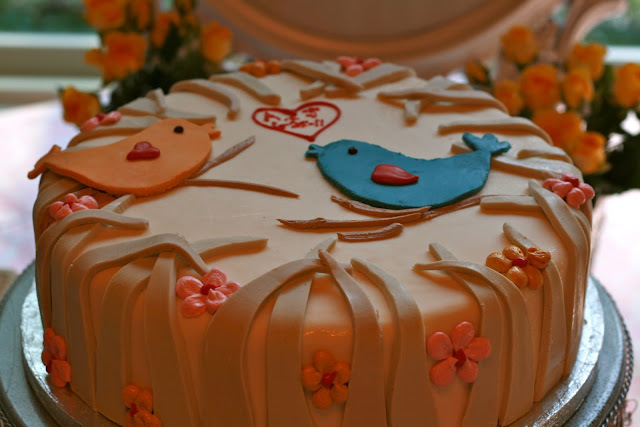 The cake from Divine Desserts in Loomis tasted just as delicious as it looked! 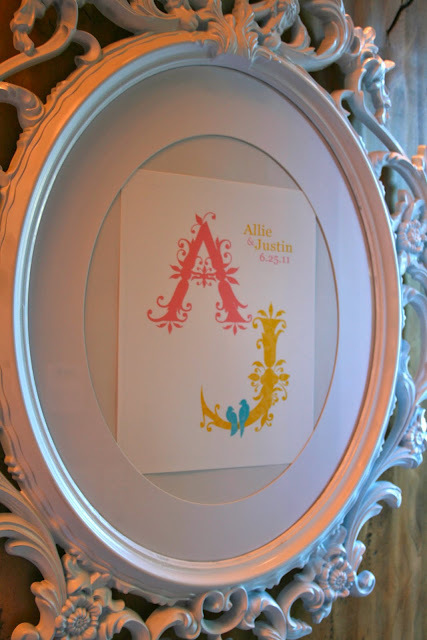 displayed on the adorable heart frame. 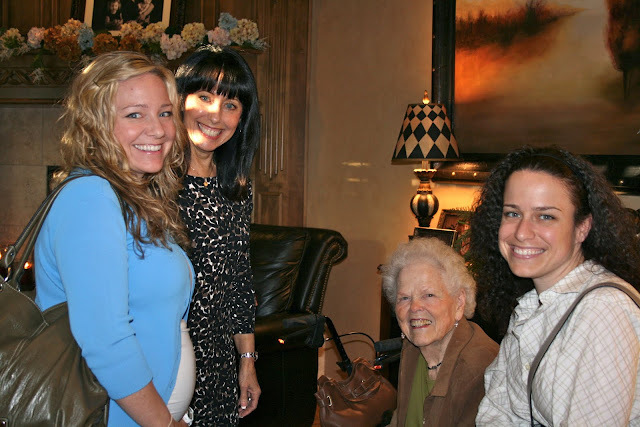 And I love this picture of the Pinney girls! Nancy, Justin's grandma and Grandma Kay. Here is the poem that Justin wrote for Allie using math terms! Thanks again, everyone for "showering" Allie with so much love and attention! 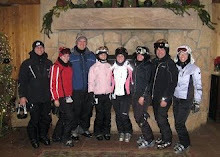 We have five fantastic kids, plus two wonderful son-in-laws and a gorgeous daughter-in-law. Brett and Kimber live in New York City with their two darling daughters, Cheri Ann and Rosie May. Brett works for GSO at Blackstone, a private equity company. Kimber is busy taking care of Cheri and Rosie, and freelancing for FoxNews.com. Tyler graduated from dental school at OU and started a 2 1/2 year Orthodontic residency program in July. Sonya is working as a nurse at Mercy Clinic in Edmond. Allie and Justin live in Philadelphia, where Justin just completed his first year of medical school at UPenn. Allie works as a Nurse Practitioner program at CHOP, Children's Hospital of Pennsylvania. Ashley and Brooke, "the little girls" graduated from BYU in April and just moved to the Big Apple. Ashley works for Save the Children as the Manager of Employee Engagement and Brooke works as Visual Merchandise Creator for New York & Co. I might have to stop calling them "the little girls" someday.